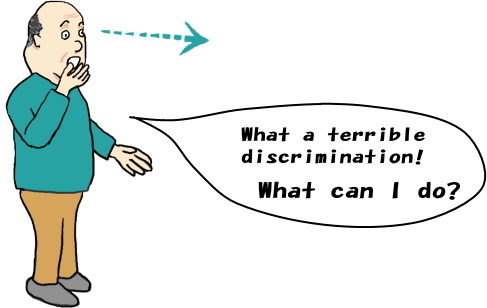 Mr.Seegood naturally thought that "What a terrible discrimination! What can I do?". Needless to say, Mr.Seegood strongly wanted to stop Mr.Lookbad’s act of discrimination. Now, what will Mr.Seegood do? And what will Mr.Lookbad’s reaction be like? Two cases are shown below, which is the turning point of ending or lasting the act of discrimination.